Bee Keeping 101: What’s Your Function? Last week’s post in my Bee Keeping 101 series was a reminder that if you’re ordering packages, now (January) is the time to do it. It was also the very first post of the series. It seems I may need to back up a bit. I had a series of comments with a reader, leading to a great dialogue, about why I would advocate ordering packaged bees (~$80-$90) when folks could just catch free swarms. From there we delved into what is today’s topic; Why do you want to keep bees in the first place? I am now the third in four generations of bee keepers. My grandfather kept bees for honey. I remember visiting both his house and farm and seeing hives towering over my head, stacked tall with honey supers. I remember the shelves in my grandmother’s pantry lined with quart jars full of honey. And always when we would visit, they would send a jar home. It was beautiful, golden, and packed with sealed, white comb. I started keeping bees because it’s in my blood, and because I love honey. Once folks find out that I sell honey, they start asking questions to find out if it’s a money maker. In fact, most people I meet think that the reason you raise bees is to make money on honey. There is no money in honey. Actually, I make enough to put back in the business for needed replacement supplies each year. Being in the gardening/farming community, I also meet lots of folks who want bees simply to pollinate their crops. They set up hives in their yards and gardens, or along crop rows to increase fruit production. Here are a few things I’ve discovered based on what I’ve observed from these different groups: your method of bee keeping often depends on your goals in bee keeping. But also, rarely does a bee keeper fall firmly into only one of these categories. In fact, often a well educated bee keeper can’t help but nod his head in agreement when he/she understands the arguments. Hopefully we’ll have time to discuss this further, but here a few more notes: If honey is not your primary reason for tending bees, then consider making your own equipment, especially top bar hives. They have a very basic design and can be easily assembled from scavenged scrap wood. 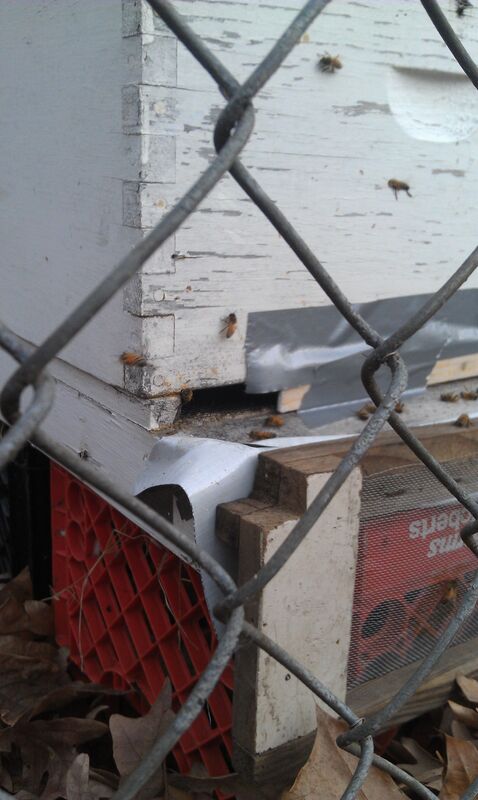 They’re easy to throw a swarm or a package of bees in, but more difficult to transition from a nuc. You can find lots of very complicated plans on the web, but really all you need to see is the basic structure to kick your imagination in high gear. Here are some plans to get you going. If you’re into honey production, then a Langstroth hive is probably the way to go. It has become the de facto standard for honey production. It’s easy to build up a honey-making factory, and it’s convenient for swapping parts with other hives and other bee keepers. But they’re considerably more expensive and more complicated to build from scratch. I usually buy my Langstroth parts from Brushy Mountain. You can buy a complete kit from them here. After many years of bee keeping, I find myself squarely in the “all three categories” camp. I really want honey. I really want the bees to pollinate my crops. But I do everything I can to promote natural bee health, including open breeding, no pesticides, swarm catching, and certainly – though accidentally – swarm releasing. If you’re already a bee keeper, you’ll get that joke. 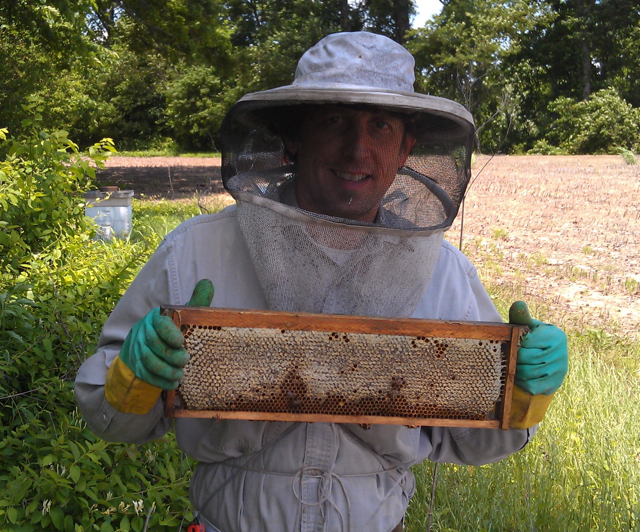 I’ve had several folks ask this year if I’d help them get started in bee keeping. I’ve been keeping bees for 15 or 16 years now, so I guess that makes me “experienced” enough to give out a bit of advice. So here’s your first bit of advice here on January 3; time to order bees. I know it’s freezing right now. Heck, it’ll be 16 in Memphis next week, with a low of 9. The bees aren’t doing anything except huddling together in their hive trying to keep each other warm. But in just three short months (in Memphis), the temps will regularly inch up to more than 55 degrees, and the bees will start flying, looking for forage. By early April there will be a steady honey flow due to the mass of flowering plants here in the south, and you want to have your hives well established in order to take advantage of the flow. WARNING: If you wait until March or April to order your bees, you’ll be flat out of luck. Established bee keepers know that there’s a fixed number of bees at any specific time (after all, they’re living creatures that must be bred), and coming out of winter, the numbers are generally low. First come, first served is the name of the game this time of year. So step number one that you should be thinking about right now is ordering either packages or nucs (nucleus hive), preferably from a local bee keeper (we’ll talk about why that’s important in another post). If I were just starting out, I’d check with my local extension office for a bee keeping association. Hook up with the guys/girls in the group and find out who they order from, or whether any of the members would be willing to sell you a nuc. You can find a goldmine of information and make some terrific connections through your local bee keepers’ association. No rest for the weary backyard farmer. While you’re sitting inside enjoying your hot chocolate, start looking for bee breeders! For close to ten years I’ve kept in bees in one particular bee yard owned by a very gracious farmer. It’s been a somewhat symbiotic relationship. He accommodates my hives when he plows, mows, and harvests, and my bees pollinate his crops year after year. But the plot has never been ideal. When it rains, the place is a mud pit. The hives are located so very far off the road that it’s almost impossible to reach for weeks after the rain. The crops are conventionally grown, which means there’s lots of herbicides and pesticides. My hive losses the last few years have been huge. It’s time to try another, more hospitable place. If you have a spot you’d like to donate to two bee hives, I’d love to talk. I’d prefer a spot in the Raleigh / Bartlett area of Memphis, since that’s where I live. But I’d also love to help you if you have an urban farm / garden in the city. As long as there’s easy access, and low/no pesticide application, I’d love to talk. You can post a comment below if you’re interested, or feel free to email me at memphisfarmer[at]gmail.com. There are so many sayings that folks throw around that they just can’t understand unless they garden or farm. “Make hay while the sun shines” is one of them. I’m on the road a lot and next week I’ll be away even more. But it’s mid-March, it was 74 degrees today, and there’s a lot of gardening to do. I had one day to get a lot done. So here’s a list of what happened at the homestead today. First, coffee with a good book. 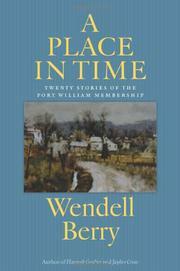 Wendell Berry’s latest stories from Port Royal. Just got it yesterday. 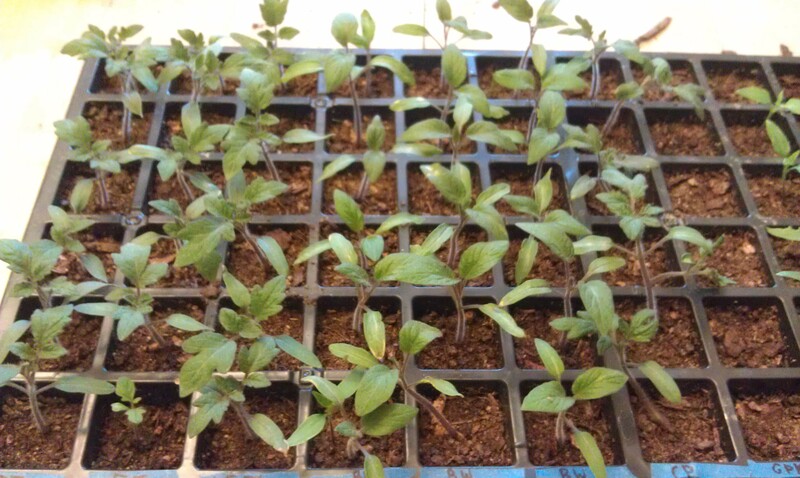 Then it was time to get busy transplanting some seedlings.I had 54 tomato and pepper plants to put into their first pots; Early Treat, Brandywine, and Cherokee Purple tomatoes, and Serrano peppers. I created a quick video today showing how I do my transplants. You can check it out here. Rats – after finishing the tomatoes, I ran out of potting soil. I make my own using organic potting soil and my own compost. But I had to cook the compost first. Into the oven with a batch of compost! While the compost cooked, I also made a batch of sugar syrup for the bees. On to the bee yard to feed the bees. They had already eaten all the sugar syrup I put on last week. Busy bees. Meanwhile, time to clean rabbit cages. 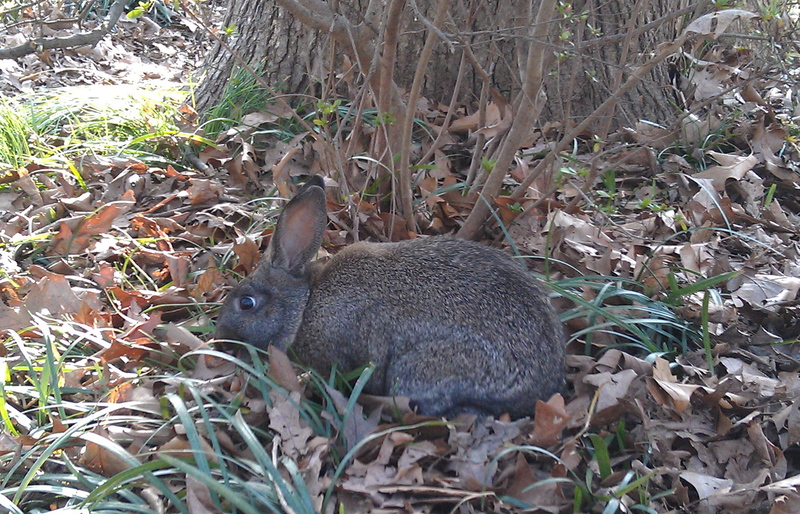 I turn my rabbits loose in the yard while I clean their cages. They love it, and it’s incredibly entertaining to watch. The straw, hay and rabbit poo goes into the compost pile. Then on to plant potatoes. I have two big planters (used cotton seed containers) that hold four potato plants, so I had to fill them with soil, straw and compost. Three plants went in a raised bed, then three more in a trench in the yard. In case you’re wondering. I’ve got a little experiment going with potatoes, trying to find what is most productive here. Time to take a break from gardening…and change the oil in both cars. I’ve got a big drive on Monday, so it’s got to get done. And now to gather up the bunnies. Got to finish potting the peppers and load them all back into the attic under the grow lights. And I’m done. Big day. The sun finished shining a long time ago, but the hay is put up. I made a lot of bee keeping mistakes last year. At some point, I’ll detail them, because the tale is worth telling. I’ve been keeping bees for 17 years now, and I’ve never made as much of a mess of my bees as I did last season. But 2012 is gone, and spring is springing in Memphis, so I decided to bite the bullet, wander out to the apiary and see if any bees made it through the winter. Imagine my pleasant surprise to find my last two remaining hives going strong. And compared to years past, I’d say strong is an understatement. What’s typical for especially new beekeepers in this area is for their bees to starve, not freeze, over the winter months. Often bee keepers take too much honey off the hive in the fall, and don’t feed early enough in the spring. Once the cluster breaks (due to warmer, 50+ degree temps), the hive has a desire to take in more calories. In Memphis, we can have 60, almost 70 degree days in February(! ), so the cluster breaks early. Because there is no nectar source, a bee keeper must have a sugar supply ready for his girls. If not, he’ll discover a hive full of bees with their heads buried in wax cells, dead. If you’ve ever experienced it, it should make you sick, because it’s your fault. Last fall I left two honey supers on both my hives, more than I typically leave. Part of it was penance for my poor care of the bees last summer, some of it was a lack of time to take off fall honey stores, and some of it – honest! – was to make sure they had plenty of honey to over winter. It appears to have worked. I did feed them on this trip. I didn’t pull the frames in these supers, because it’s still cool enough to chill the brood and I didn’t want to take any chances. I used the baggie method of feeding since the cluster had already broke. I’ve posted a video here so that you can see how this works. It’s quick and easy, and perfect for this occasion. 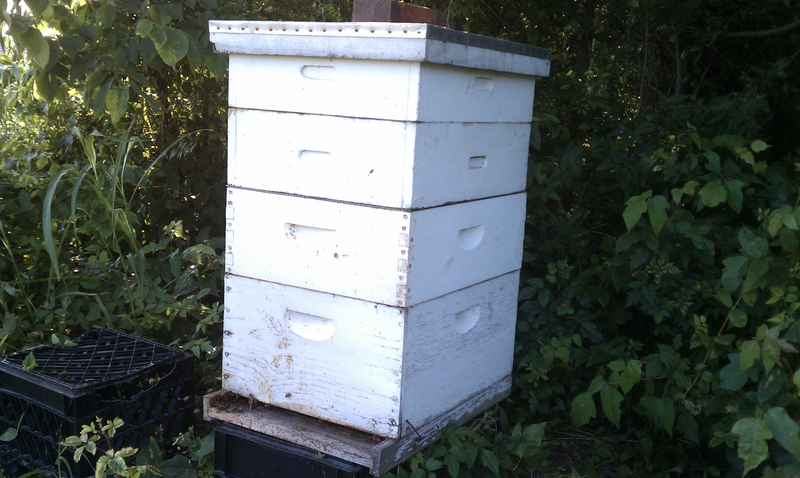 I’ll reverse the brood boxes in a couple of weeks, and tear the supers down to see what kind of shape they’re in. I can typically get several boxes of early spring honey by May if I’ve planned ahead. Take note: I am planning ahead! Oh – and if you want a video version of this update, check it out here. I’ve been keeping bees for about 15 years. In some circles, that makes me an authority, even an expert. I’ve seen and experienced a lot over the years. but today I encountered something new. In late July I started a nuc. That’s unusual for me, but my brother had just tried his hand at breeding queens, and he gave me one. So I pulled a few frames of bees from another hive, dropped her in, and let them go. I really didn’t expect much to happen, but after about a month I opened the hive to check on them, and sure enough, there were some young bees and a new brood pattern. I closed them up and left them alone. Over the past several weeks, I’ve noticed their activity pick up, so I knew the new bees were finally out doing their thing, but since winter is on its way, I decided I should see just how well they were doing, and feed them if necessary. So Saturday afternoon I cracked open the hive. Upon opening the hive, a few hive beetles scurried out of the way – nothing unusual in that. We have a terrible hive beetle problem here in the mid-south. But the beetles were under control. The bees had put up a little bit of honey, but not much. There was a small amount of capped brood, but the queen had obviously slowed down her laying now that a few cold snaps had come through. They had built out a few combs, and were generally busy on them, but took little notice of me. A nice nuc, but not enough bees to fill out an entire brood box. I’d need to find a nuc box to keep them warm through the winter. 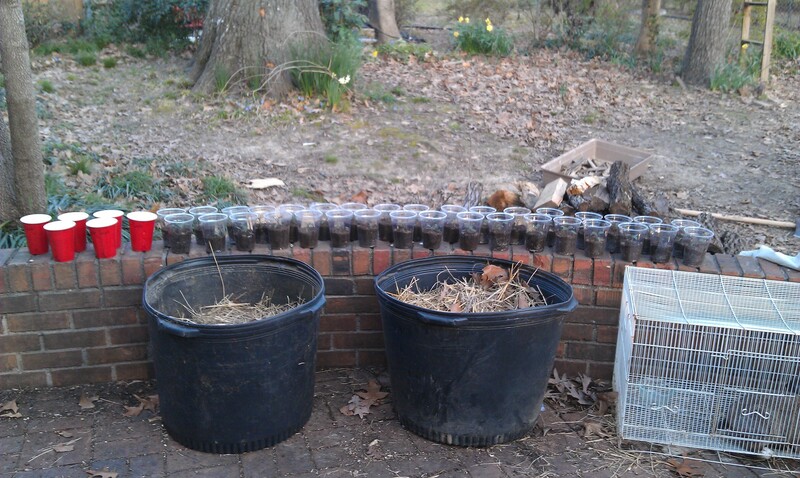 But in the mean time, I put a division board feeder in the hive with about two cups of sugar syrup I had made. I shut the hive and went back in the house. By the time I got home it was very dark, and I was leaving town early in the morning, but I resolved to inspect the hive when I returned home Monday evening. So last night, exactly two days after my initial inspection, one day post-swarm, I opened the hive. You know that scene in “The Mummy” (the Brandon Fraser Mummy, not the Boris Karloff mummy) when the flesh eating beetles come swarming out of the ground to eat the people who have disturbed the tomb? Well, this hive looked a lot like that. I have never in my life seen so many hive beetles. I popped the lid and they came swarming out of the box. 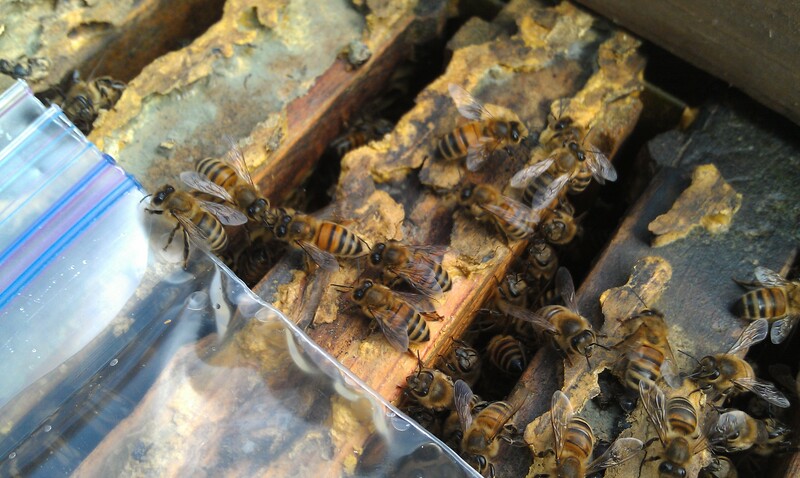 I pulled a frame and they were racing in and out of the cells of each comb. I grabbed a comb and “popped” it on a concrete slab next to the hive. The ground was covered. I busted a move right there and then, stepping on every little black bug I could get my shoe on. I pulled another frame. Then another. By that time, my youngest son was standing alongside me, watching, with lots of “Oh my gosh!” and “Wow!” commentary as I killed these little parasites. Further findings – not a single bee. And in two days, every single bit of the sugar syrup was gone. Not a drop. The feeder was bone dry. So what happened? Did the beetles smell the sugar and invade the hive? Sensing the danger, did the bees gorge themselves and leave? Or did the beetles eat all the sugar? And how did they move in so fast? What are your theories? Have you ever seen anything like this before? Leave a comment and let me know! I made a quick run to the bee yard yesterday morning to install a package and make a split. With these two new hives I’m back to up five hives, four at the yard and one here at the house. The hive here at the house is blowing and going. It’s the hive I took the split from. I’ve got three supers on it, and they’re putting honey up quickly. I fully expect a May honey harvest from at least this hive. The beetle count was perhaps a bit lighter, but still pretty high. I read this week about treating your bottom board and bee yard with a salt solution to help keep beetles at bay (it melts the larvae, much like salt on a slug). I need more information before I try this, but I certainly plan on pursing this as an added beetle control. Again, these are small bees from Wolfcreek Apiaries here in Tennessee. I’m really pleased with their overall health. Pleased enough to order a three-pound package and a new queen this year. At the field I had a pleasant surprise. I have one hive there that is particularly healthy. They’re Russians, and they are also putting up an incredible amount of honey. I’ve got three supers on this hive as well, and just cracking the lid yesterday, I could see the bees were at the top of the hive, and were packing away honey. But the best news of the day came from my other Russian hive. If you watch any of my videos you’ll hear me refer to it as my “mean” hive. On my March 3rd visit this hive looked incredibly weak. It had super low bee counts and no capped brood (though it had lots of honey stores from last season). I’m happy to say that this hive was really active, with many, many more bees. I didn’t crack the hive to look for eggs or brood, but it’s obvious by the activity both inside of, and at the front of the hive that it’s healthier. When I go back next week to check on the splits I’ll tear this one down and look for brood. During the visit I made another split video. It’s not great – it’s kind of hard to shoot video and make splits at the same time – but it might shed some light on what I believe is a pretty easy way to do splits. Enjoy!